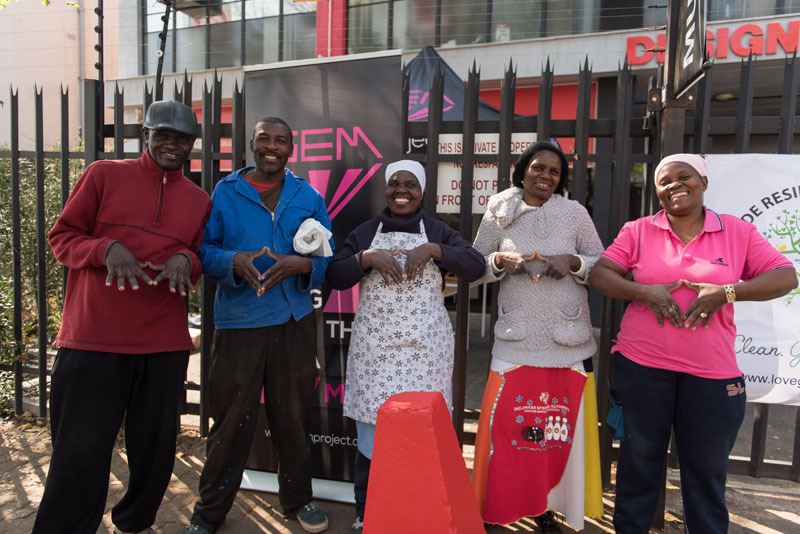 This week, we look at G.E.M., a South African app that rewards people for taking time out to volunteer. Yes, you read that right. This app gives YOU a reward for giving back to your community. The acronym stands for Going The Extra Mile, and with a number of successful pilot projects under its name already, one could say the founders are doing just that. Ultimately the G.E.M. Project is a Non-Profit Organisation that aims to bridge the gap between civil society, the public sector and the private sector. The organisers hope that in this way they can build trust and establish meaningful and sustainable links between local government and citizens as everyone comes together to try and alleviate some of the socio-economic problems we face as a nation. The project was formally established in 2014 and the team behind the operation all work on a part time basis. The team is made up of David Shields and Camilo Ramada who are the co-founders and brains behind the idea. There is also Gary Greenburg (Head Developer), Lisa Cook (Graphic Design) & Jack Kaminski (Project Manager). In order to earn GEMs, users download the app on their mobile phones. It’s available on Blackberry, iOS, Android and can also be downloaded via USSD by dialing *120*GEM1# for those with feature phones. Once you have the app, you will be able to see what volunteering options there are in your area. You then select the day and place and from there you’ll be able to see how many GEMs you’ll earn on that day. Did You Know: GEMs can also be earned for doing things like HIV and pregnancy testing or recycling waste at schools or universities. So rewards for good behavioral changes. You can be part of G.E.M. as a User (for those that want to do the volunteering), a Sponsor (for businesses that want to be part of GEM through their Corporate Social Investment), or as a Partner (If you are an NGO/Charity or Non-profit that is looking for volunteers for a project). So I’m sure you’re wondering what these ‘GEMs’ are and why you earn them. Well GEMs are essentially the incentive for volunteers to do some community work. One GEM is the equivalent of one South African Rand. The GEMs are donated by sponsors in the corporate and public sector and are distributed evenly to the social partners that host the community engagement events. Users that attend the events are then paid out within three days of completing their activities and can use the GEMs to buy data, airtime, electricity, movies tickets or grocery vouchers straight from the GEM app. Who would’ve thought that earning rewards could be as simple as downloading an app? I really commend the founders for this brilliant idea, however my only concern lies in the fact that as individuals we need to have incentives to do work for our communities. When will be be able to do the responsible things like street clean-ups or the HIV testing without someone having to give us something in return? All in all, I think projects like the G.E.M Project are definitely a good way that digital and community work have been integrated successfully and I look forward to the future developments that could come out of initiatives like this. Check out the video below where co-founder David Shields talks about the project so far. And for those of you that are interested in getting involved you can download the app here.